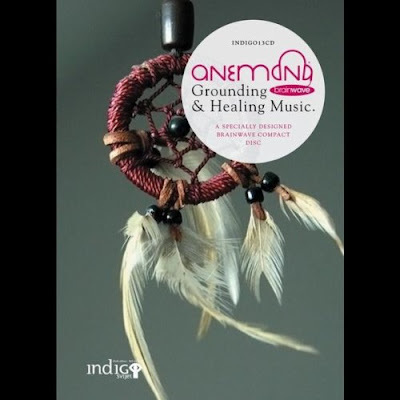 Grounding and Healing Music symbolizes a circle of returning to inner self and reconnecting with what was so near, yet we had to travel a great journey to discover it. We couldn’t hear our own heart beats, yet they couldn’t be closer to us. These tracks are my present to all of you who are ready for closing one part of spiritual journey. The journey itself does not finish, the journey now goes in a whole new direction. Composition that goes by the name “Shaman” reminds me of walking on a path of holiness and kindness. It has something very encouraging hidden in it. As a result, I feel broadly life support, connected in one with life and people around me. Even though it often doesn’t seem to be like that, we are not desolate travellers. Ego can dissolve in experiencing the Truth. That is the message of Shaman whose spirit watches over us. Composition whose name is “Gaia” reminds me of a journey to the center of Mother Earth, that is, to the center of my own being which resides in the heart. The effect is so calming that thoughts and emotions are at peace and harmonized. I feel awake in the point of here and now, centered within myself. This is tremendous help when working with techniques whose goal is experiencing awareness and presence (Eckhart Tolle, Michael Brown). I feel Gaia (Earth, Mother) as if it's alive and through that feeling I become vivid, complete and real.